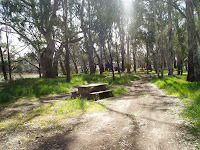 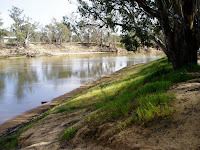 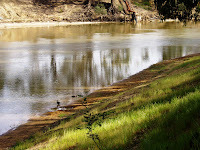 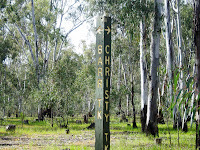 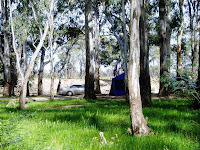 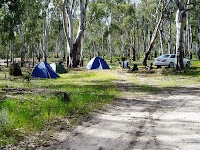 Located about 8.5k East of Echuca along the Echuca / Bangerang Rd and Simmie Road is Christies Beach Campground on the banks of the Murray River. 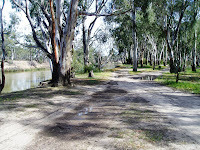 The track along Simmie Road is OK with some pot holes that need to be taken with care. 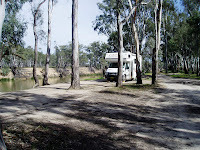 The camping sites are plentiful, level, shaded on the river bank with steps cut into the bank for easy access to the river for swimming and fishing. 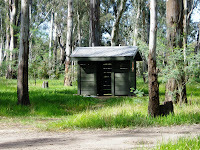 Two long drop toilets and picnic tables are in the park which is popular during the school holidays.